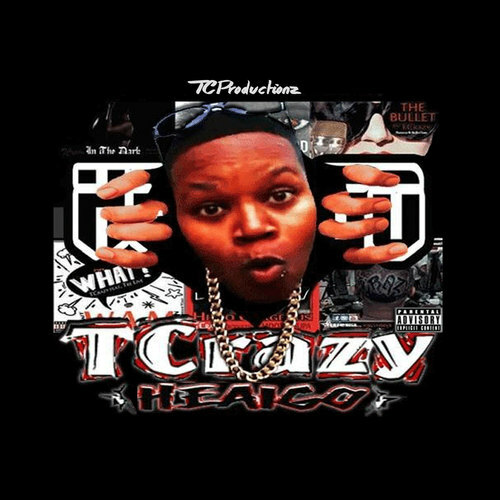 Home / TCrazy @OfficialTCrazy - "Hea I Go" / TCrazy @OfficialTCrazy - "Hea I Go"
TCrazy @OfficialTCrazy - "Hea I Go"
TCrazy is the moniker of Tiffany Rene' Lewis, a Cincinnati, Ohio native performer grabbing the music industry by the horns. Her swagger, her flow, and her ability to attract fans of all ages and genders is what is continuing to craft her into an industry professional. TCrazy’s influences are as diverse as her fanbase. She’s into everything: classic hip-hop, alternative metal, jazz, R&B, and even country. You name it, it culminates into TCrazy’s fantastic sound. TCrazy is most inspired by Lisa ‘Left-Eye’ Lopes. Her versatility has earned her comparisons to a young Missy Elliott because she can seamlessly go from rhyming about romance and love to tackling gritter subject matter. Once TCrazy hits the stage, however, she elevates herself into a style completely her own. Her original persona and definite swagger give her the rare ability to immediately grab the attention of any audience.